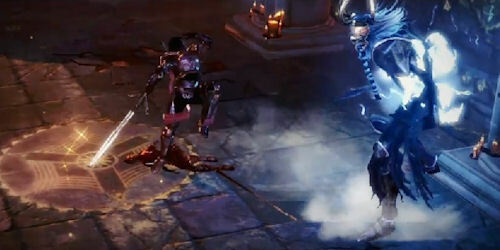 Square-Enix and Obsidian Entertainment have just released the first trailer for Dungeon Siege 3 showing in game footage. The result is an action packed trailer with plenty of gorgeous looking locales and even some glimpses of co-op action. One thing to take away is the variety of combat options on display as well as the impressive spell effects. After Jason's E3 preview with the game and this video it's easy to see why Dungeon Siege 3 is going to be on every action / rpg fan's radar next year. Page created in 0.2226 seconds.